Very professional and caring doctors and staff.. I’ve pretty much seen a few of them and they’re all very caring.. great office!!!! I appreciate Dr Hirsch. He is very watchful for every aspect of my health and goes above and beyond even removing my stitches from a small cut so I didn’t have to go to ER. Thank you Dr Hirsch!!! She is a knowledgeable person who understood exactly what I wanted. Dr. Horst is extremely knowledgeable and has a sense of humor. 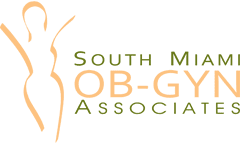 He will make sure you understand all possible options to proceed with a procedure and that you feel comfortable with your decision. 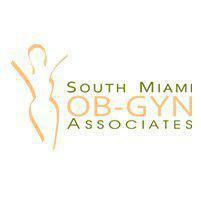 He is a phenomenal ob-gyn! Dr. Páez es muy empático, muy respetuoso y muy amable, así como todas las personas que trabajan en la práctica. Dr. Paez is such a thorough, considerate, kind and obviously knowledgeable doctor. I highly recommend him! I loved meeting Dr. Horst. I feel like many doctors treat you like a number and rush through appointments, but not him. Not only did he seem genuinely happy for my husband and I, but he seems to really love what he does. Everything about the office is pleasant. El Dr. Vizoso es muy profesional, al mismo tiempo que amable y amistoso. Always friendly staff and service! Quick appointment and ease of prescriptions. Took his time and really listened. I have been Dr. Guinot’s patient for 17 years. I trust him very much and feel more like a family member and not his patient. I would not change him for any other doctor.